The magic lies in the Powershell script found in the very end of the post. Needless to say, using the -NoSourceFiles parameter downloads the OneDriveSetup.exe directly from Microsoft and stores it into Windows\Temp from where it also is installed. And below illustration is OneDrive after the installation. Notice the desired location in %programfiles(x86)%. Lovely! 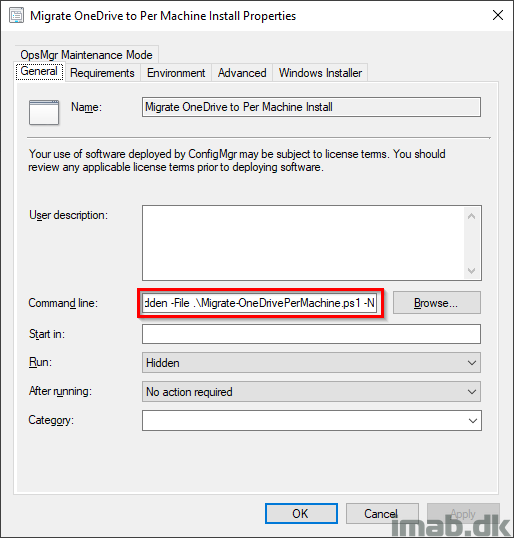 Install a fresh Per Machine installation of OneDrive or migrate a current installation. You have the option to download OneDrive in the minimum supported build directly from Microsoft or use local source files. The script also sets the update ring to Insiders. This is to ensure that future fixes for the Per Machine installation is applied. 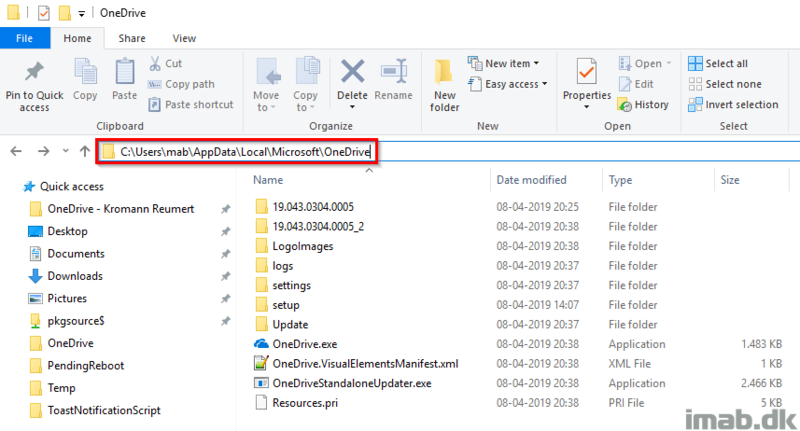 Write-Output "No Source Files parameter selected"
Write-Output "Downloading OneDriveSetup.exe and saving it to $OneDriveSetup"
Write-Output "OneDrive is not installed already. 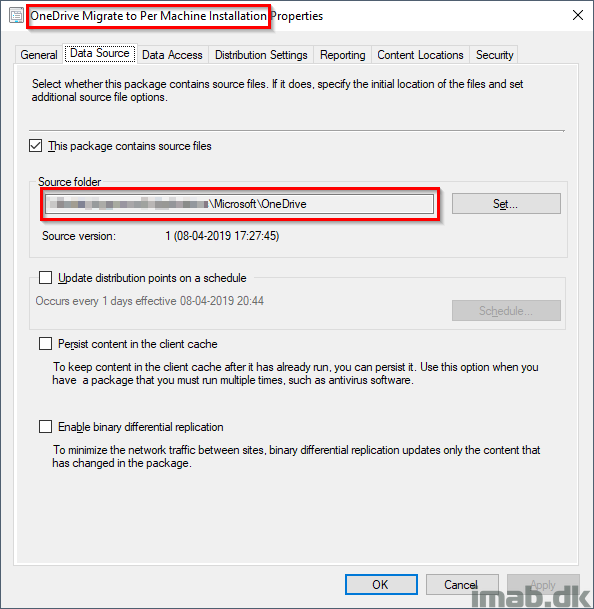 Installing OneDrive from $OneDriveSetup"
Write-Output "Installing OneDrive for Business. Hang on..."
Write-Output "OneDrive seems to be installed already"
Write-Output "Source Files parameter selected. Assuming OneDriveSetup exists locally"
Write-Output "Installing OneDrive for Business using local source files. Hang on..."
Write-Output "OneDrive is installed locally in $InstalledPath"
Write-Output "Configuring OneDrive update ring to Insiders through local registry settings"
Write-Output "Failed to make local changes to registry"
Write-Output "Something is not right - OneDrive was not found in $InstalledPath"
But what if couple user will log in to that machine? If is stored on %appdata% – it’s assigned to one user. What if you move to program files? There will be sync conflicts? I couldn’t get it to work without the source files. I get an “Error in downloading OneDriveSetup.exe” message when I try running it from an Administrator Powershell cmd window. Works if I provide the exe. Is there a way to hide the “Preparing OneDrive for first use.” dialog from appearing during installation? It also has an X at top right which users can click and thus make the installation fail. We would like to deploy this to all our workstations as a ConfigMgr Application, replacing the old version which installs itself to all users separately, which is annoying especially on classroom workstations where that happens at each logon. I am trying to roll this out via GPO using the -SourceFiles with the onedrive exe in the same folder, I have tried a bat file and also just the ps1 script, but nothing seems to happen. if i run it manually when logged it it works perfect. any ideas?